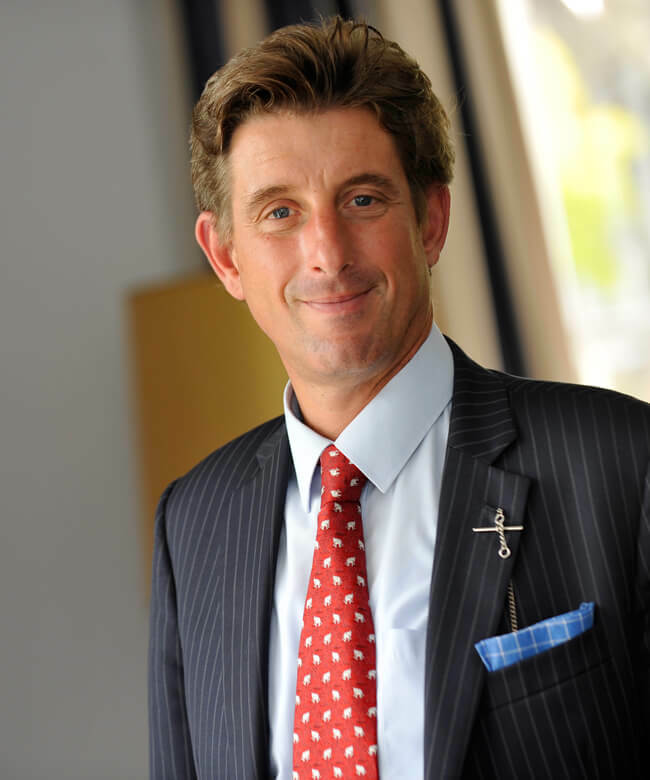 An essential feature of this process is the way in which it does not matter if the passion is for sport, music, acting or chess – to make a random selection of the plethora of opportunities for young people at King’s. 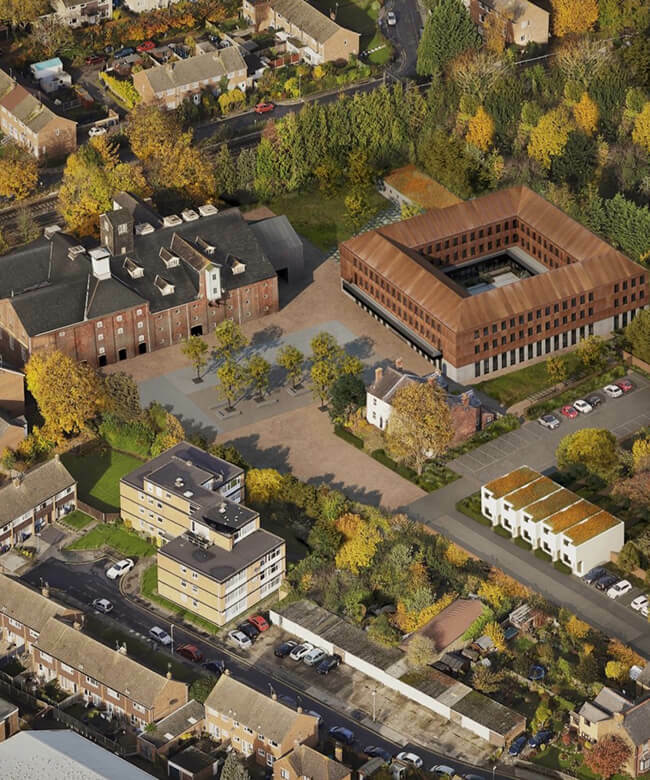 That all this takes place in such a beautiful and historic context with the support and guidance of a talented and dedicated staff explains why I am so proud and enthusiastic about leading this very special school. A very happy New Year from us all in the King’s community: I am sure that 2019 will bring us all much joy and ongoing success. It will be a year of exciting times at King’s with the opening of the whole of the splendid and extensive Malthouse site after Easter: this new campus for us (equi-distant between the Recreation Centre and Birley’s) will bring together the handsome and very impressive theatre and performing arts centre within the stunning conversion of the original Malthouse, along with a second Sports Hall (one which will provide more space for indoor sports and an international level fencing salle), and the striking and beautifully designed International College. Rebekah Beattie will be mounting a production of ‘A Midsummer’s Night Dream’ as part of King’s Week to launch the new era of the theatre. For the Fifths and the 6as, this is a very important trial exam term, and I wish them all well in the task of getting on top of revision, coursework deadlines and consolidation of learning. We also have important Parents Meetings for the Fifths and the 6bs. The new Shell enrichment programme on the arts side has its first airing this term, and I am sure that the reformed (two week) timetable will continue to make our packed lives here in Canterbury more cohesive and effective. The initiatives of Christina Astin’s Partnership programme, the excellent volunteering opportunities that Begonia Garcés Ramôn organises so well, and the very rich and varied series of King’s Talks which Owen Moelwyn-Hughes brilliantly delivers offers our pupils a rich variety of activities during these winter months! And then there is all the sport, particularly at Birley’s on a Saturday, a great venue (especially for the unbelievably good teas) to which all are always welcome. Best wishes for the Lent term. The Annual Boat Club dinner at the start of the new academic year celebrated the school’s rowing achievements in the company of staff, pupils, parents and the “Pilgrims” – the OKS rowers – who this year managed to boat two ‘Eights’ at Westbere Lake during the afternoon. The Club has achieved some notable successes with highlights being Gold medals won at Ghent International Regatta, National Schools and the British Junior Rowing Championships. 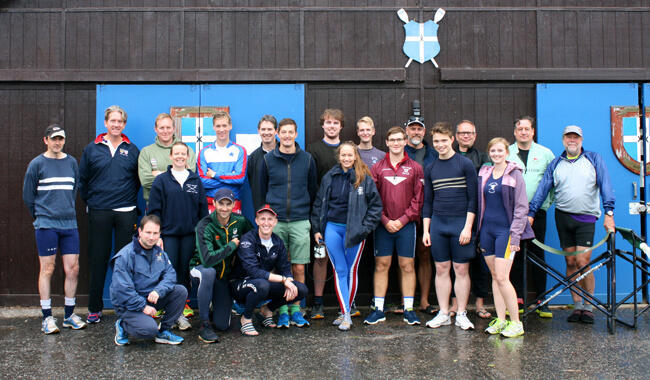 The Club competed at Henley Royal Regatta in both Mens’ and Womens’ events, and the season was capped off by the Wingfield twins – Tom and Ian – representing Great Britain Under 16s in Paris against France, and returning across the Channel with a Gold medal each. 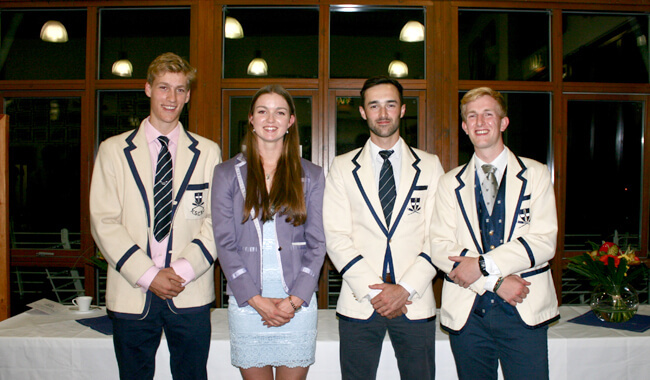 Pilgrims that attended the dinner were led by the young OKS quartet of Harry Nichols, Angus Forbes, Freddie Allinson and Helena Barton who spoke about their rowing experiences beyond King’s. They were supported by fellow Pilgrims such as Ewan Pearson, Darrell Barnes, Nick Prince, Ben Loxton-Edwards, Sebastian Dawson-Bowling, Kieron Allen, Joe Phillips, Charlie Foinette and Charles Heisse to name but a few. The Pilgrims, with their typical generosity, initiated a new Award to support aspiring GB athletes, Tom and Ian Wingfield being the first recipients. The retiring Captains and new Pilgrims, Tilly Abbott and Wills Edgar, thanked the coaches and relived a couple of their own school rowing moments. The new season has already begun in style. The Boat Club topped the table at the local Maidstone Head with both the Pilgrims and the School Boys’ Four and Girls’ Quad being the fastest boats of the day. October will see the boys Eight racing at Rouen, while the Shells race Octos at the Sculling Head. With a record number of pupils opting for rowing as their sport this term, the King’s Boat Club is definitely going places!